The inside of your corvette is just as important as the outside. Don’t be embarrassed to open your door at the next corvette show! You will be pleased with our interior services which include carpet installation, seat recovering, door panel replacement, instrument cluster rebuild, stereo installation, storage compartment replacement, and dash pad and sunvisor replacement. or the convertible top down? If you have a C5 Vette-filled with great memories but some of the shine has worn off---let my friends at Vettestorations BRING IT BACK TO LIFE. For a small investment, Vettestorations just restored my 2000 convertible C5 and literally brought it to life----like the day it came off the lot. I was blown away. The clear coat gleams, aluminum rims look new again and all those small nicks that only a proud owner knows of, have been all but eliminated and my pride of ownership and passion for the car is at an all time high. Thanks Isaly and Mark. Your passion for your business, your customers, and corvettes SHINES. Excellent work! I would not take my Corvette anywhere else! We have a great solution for you! We custom design and install a rear speaker wall located in the rear of your Corvette, carpeting around six by nine inch speakers.This wall is conveniently located to still enable your t-tops to fit behind the seats or your convertible top to fold down. 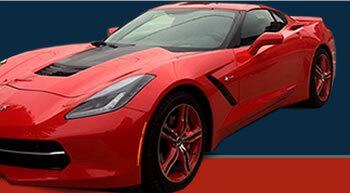 From basic re-wiring to modern Corvette diagnostics, Vettestorations provides all of your electronic/ diagnostic needs. State of the art equipment allows our technicians to accurately pinpoint any electrical problem you may have. Does your turn signal start blinking when you activate the windshield wipers? Wiring harness replacement is another one of our specialties. Stop by today to tour our facility and receive an estimate! 23500 Telegraph Rd. Southfield Michigan 48033 - 248.355.2800 Copyright 2016 - Designed by CI Web Design Inc.